Face these lords and take your revenge. The biggest and the most important enemy you’ve got in this game is The Wolf. He has got an ancient civilization on how to build strong castle. With stone mines around his castle, He builds powerful walls. But don’t worry. When you defeat other enemies, Some coins will be added to your treasury. These coins will help you upgrade the buildings or items. if you select the campaign mode, There will be 21 Challenging missions to play. In the beginning of every mission after you choose the place of your main building, place the storehouse. Then create other buildings at nearby places. The food convey in Stronghold HD is an important labor and if the granary gets empty, There will be no food to give to the people. So the popularity will reduce and after a while, These people will leave the castle. So start to build apple farms and implant wheat at the green areas for fixing this problem. If there are a lot of food in the granary, increase the ration of food and take some tax as well. In that case, Your coins in the treasury will get increased. The resolution and size of this game has been improved to full HD size. So the environment has better quality. But the developers haven’t make any change in gameplay. 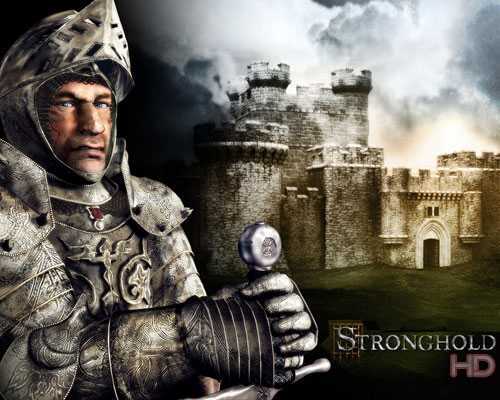 53 Comments ON " Stronghold HD Free Download "
this is awesome ty a lot ! password wrong whats the new password? Checked, There is no problem with it. brotha are you turk ? Remember when you copy and paste the password, dont copy the space before the w.
why map editor doesnt work?